We are into Interactive Multimedia. We shoot videos (video recording, video capture and video production) and digitally transform them into interactive multimedia content, fully synchronized to the presentation slides. This produced content is suitable for playback on all devices (desktop PCs, notebooks, iPADs, tablets and smart phones). Useful for learning, for continuing professional development (CPDs), continuing medical education (CMEs), as detailing aids, product education and staff roll-out programmes. Videos for all Business Occasions. We record videos for occasions ranging from Conferences, Symposiums, Seminars, Workshops, Annual Scientific Meetings (ASMs), Dinner Talks and special Interviews to Business Meetings. Who do we shoot (video record)? We shoot live videos of your Invited speakers, visiting Professors, Research Scientists, Industry Experts, your scientific Faculty, paper presenting Authors, Lecturers and management personnel. 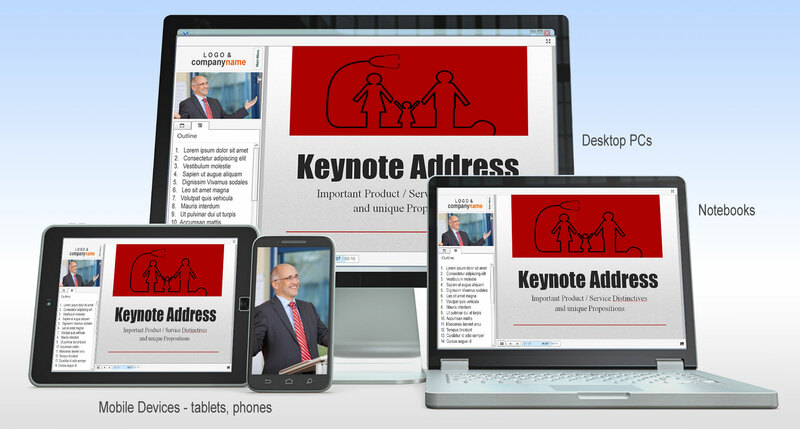 We combine the Powerpoint Presentation (preserving any transitions, animations or video clips within the powerpoint presentation) with the video into an interactive package - users can click to view any slides and watch the fully synchronized video for that slide! All slides appear clear and sharp. We maintain high fidelity for the slides, video and audio. All production processes are in-house. With only voice-over recording talent outsourced, we are a cost- & time-efficient production team.